Since our pets can't tell us when they're hurting, it takes a combination of observant owners and routine check-ups by a veterinarian to provide relief. Through regular, comprehensive physical examinations we can detect health problems early or, better yet, prevent them from occurring! 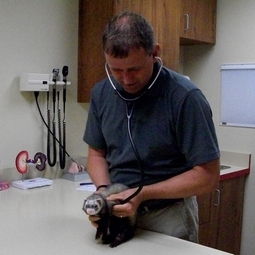 Millersville Animal Hospital's patients aren't limited to dogs and cats, we also care for ferrets, rabbits, guinea pigs, chinchillas and rodents (mice, rats, hamsters and gerbils). If it has fur, there's a good chance we see 'em!